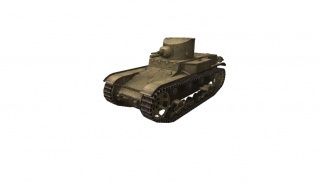 The T1E6 is an American tier 2 premium light tank. 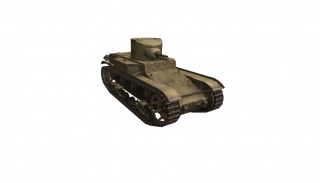 The T1E6 is armed with the same 37mm semiautomatic gun available on the T1 Cunningham and T2 Medium tank. The gun is highly inaccurate and has poor penetration and is thus only effective at close range. At close range however, the gun's five-shot magazine enables the T1E6 to do an average of 150 hitpoints of damage in just 2 seconds, assuming all shots hit. 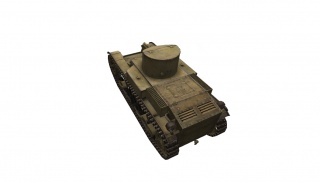 Combined with a short reload of just 5 seconds, the T1E6 is capable of repeatedly dumping clips into enemy tanks quickly and efficiently. 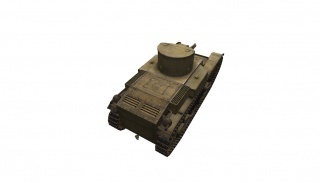 Capable of taking out most (or in some cases, all) of a Tier II tank's health in one clip, the T1E6 is most dangerous late in the game where it can use its speed and maneuverability to single out damaged enemy tanks and quickly kill them with one clip. Also, with free AP ammunition, premium tank income bonuses, and cheap repair costs, the T1E6 can be extremely profitable to run. 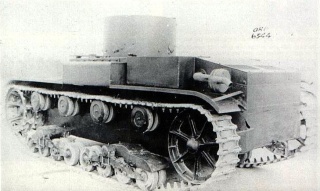 The T1E6 could only go 32 Km/h.